For patients seeking a whiter and brighter smile Advanced Dental Care of Providence Rhode Island offers Zoom!™ professional teeth whitening system. Zoom!™ is a revolutionary tooth whitening procedure that is safe, effective and fast. In just over an hour, your teeth will be dramatically whiter. This in-office procedure can be a great convenience compared with traditional whitening products, which require several applications over days or weeks. The Zoom!™ In-Office Whitening System makes it the perfect choice for the busy individual looking for immediate results. Advanced Dental Care also offers an at-home whitening option. A custom fitted tray is made for your teeth. The tray will ensure proper contact of the whitening gel with all tooth surfaces. A specific gel appropriate for your individual need is chosen. The trays are usually worn overnight for maximum comfort and convenience, but can also be worn during the day. It typically takes approximately two weeks to achieve the full results. We can provide you with a teeth whitening treatment that is both safe and effective and which best suits you and your smile. 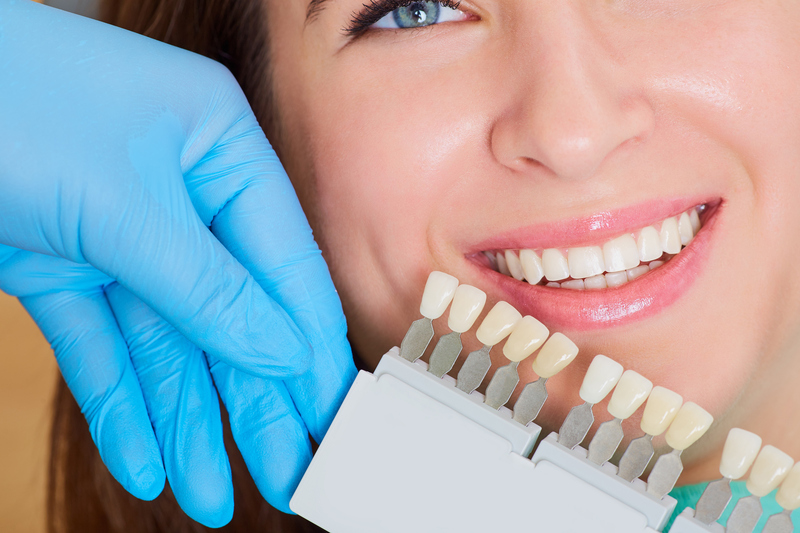 Advanced Dental Care offers teeth whitening treatments at our Providence, Rhode Island ( RI ) office. Request a consultation today by either filling out our request form, or by calling our office at (401) 273-6780.